Palestinian public sector workers received their salaries, on Tuesday, signaling the backing down of Israel from a threat to impose sanctions as peace talks began to collapse, last month. Palestinian public sector workers received their salaries on Tuesday, signaling the backing down of Israel from a threat to impose sanctions as peace talks began to collapse last month. Israel had said on April 10 that it would withhold funds after Palestinian President Mahmoud Abbas signed a series of international human rights as the U.S.-backed peace negotiations were ending with no breakthrough, and as Israel refused to release political prisoners as previously agreed. Palestinian officials said the payment reflected Israel’s decision to transfer more than $100 million in customs duties it collects on goods headed to Palestinian-run areas through the border crossings it controls. 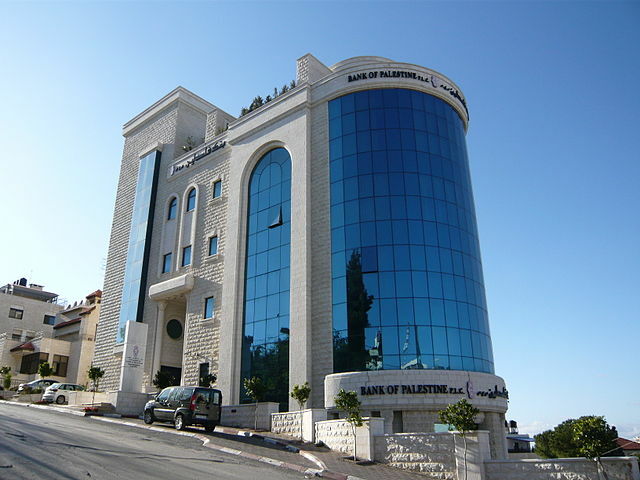 The money accounts for approximately two-thirds of the Palestinian budget and is key to keeping its public sector functioning and maintaining stability in the Israeli-occupied West Bank. Israel had said it would dock payment of over $100 million, a figure which it said the Palestinian government owed Israel in utility bills. Speaking last week, Palestinian Prime Minister Rami Hamdallah told reporters that Israel would be paying the near-usual monthly amount of 450 million shekels ($130.3 million) and only deducting 20 million shekels ($5.8 million) as part of a loan taken out by a previous Palestinian government. This policy brief is authored by Randa Farah, a Palestinian professor of anthropology who has written on Palestinian popular memory and reconstructions of identity. Like a broken record perpetually playing a deeply disturbing refrain, the peace process has scratched on despite missed deadlines, threats, and promises, with intermittent halts. None of the parties involved -- mainly the Palestine Liberation Organization/Palestinian Authority, Israel, and the United States -- has seemed to be able to survive without them. But the consequences to the occupied, dispossessed, and exiled Palestinian people have been disastrous, and their termination has been long overdue. It is worth drawing some of these lessons to map a different road moving forward. 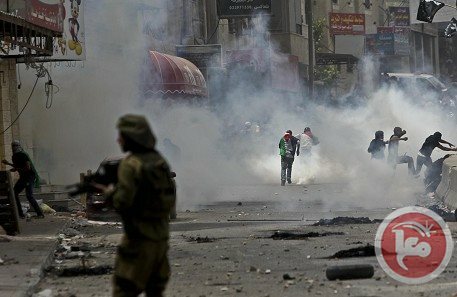 Twenty-one years after Oslo, also known euphemistically as the "peace process," vast tracts of Palestinian land have been swallowed by Jewish settlements, the Palestinian economy is in tatters, and the revolutionary ideals of the Palestinian national liberation movement have shrunken to so far ineffective diplomacy. Most importantly, the national front has been shattered and the refugees and exiles abandoned. And these are but the most glaring effects of Oslo. The historical record shows, as Zeev Sternhell put it, that for Israeli leaders, whether on the right, center, or left: "The word 'agreement' means unconditional Palestinian surrender. For the Jews' exclusive right to the land to be complete and recognized, the Palestinians must accept their inferiority." 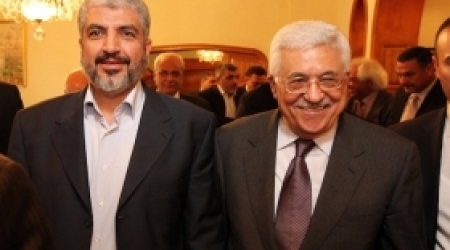 Despite all the celebrations that greeted the April 23, 2014 Fatah-Hamas reconciliation agreement, one cannot help but ask: Was it necessary for PLO Chairman Mahmoud Abbas to wait to threaten to dissolve the PA and to reconcile with Hamas until he had no other card to play? And why were the voices of those critical of the Oslo Accords and the negotiations that have followed since 1993 never taken seriously? The commitment to the new reconciliation agreement appears more serious than its two predecessors, with plans to overhaul the Palestinian political system not only within the Occupied Palestinian Territory but also within the PLO as the representative of the entire Palestinian people. If implemented, it would be a good start, but one must keep in mind the uses (read abuses) of negotiations to date and their impact on the Palestinian people so as to avoid future pitfalls. Negotiations have enabled Israel to proceed with its flagrantly illegal colonization project largely unchallenged while the PA polices the West Bank population through its US-trained security forces. Negotiations have provided a cover for Israeli bulldozers' ethnic cleansing in Jerusalem, the Negev (Naqab), and the so-called Area C in the West Bank, the remorseless siege of Gaza, and the passing of racist laws against the Palestinian citizens of Israel. In fact, the 15 international conventions that the PLO signed pose no real threat to Israel in the current regional and global political context -- although they could be used to good effect if the political will is there. 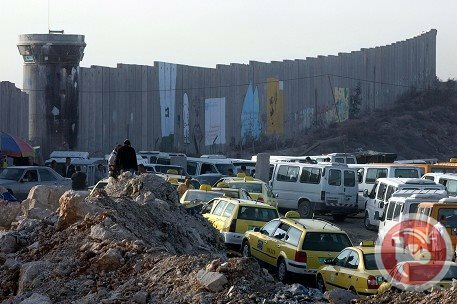 However, Abbas appeared to undercut that possibility by announcing that he and his team would be willing to extend negotiations for another nine months if Israel halted settlements and the first three months were devoted to a serious discussion of borders, a topic that Israeli negotiators have so far refused to address since the start of negotiations in the summer of 2013. Have we grown so accustomed to the PLO/PA's failures that this small act of defiance could be presented as a victory? Had Israel gone ahead with releasing the fourth group of prisoners, would the PLO/PA have abstained from submitting the same requests and for how long? 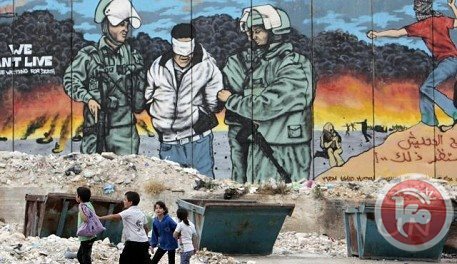 Should we not be fighting for both the release of Palestinian political prisoners and for the recognition of Palestine in all international bodies -- to say nothing of the fulfillment of the rights of the Palestinians, including the right of return as affirmed under international law? Had the request to join these international bodies been accompanied by other forms of resistance, the matter would have been different. After all, Palestinians have, over the last few decades, accumulated hundreds of international declarations, conventions, and resolutions condemning Israel's occupation of Palestine and reaffirming Palestinian rights. Such resolutions, however, only work when the weaker party begins to win in the battlefield and/or accumulates enough national and international political capital that can truly shift the balance of power on the ground in its favor. The PLO/PA involvement in peace negotiations, however, has so far run against such an approach, with the PLO/PA not only replacing resistance to the occupation with unlimited negotiations but also finding itself under pressure to actively work to halt other acts of resistance simply for these negotiations to continue. For example, note Abbas' baffling statements against the Boycott, Divestment, and Sanctions movement made at a time when the movement was growing into a potentially genuine game-changing force. PLO/PA officials later clarified that they respected Palestinian civil society's right to lead local and global BDS campaigns. More recently, the PA arrested four BDS activists for protesting the PA's decision to host a performance by an Indian dance troupe in Ramallah just after it had performed in Tel Aviv, a clear violation of the BDS guidelines. Although the activists were released on bail, they are to be tried by PA courts on May 28th. The cost to the Palestinian people of endlessly futile negotiations has been very great, particularly as the PLO/PA has prioritized the creation of a Palestinian state over addressing the Palestinian right of return -- and achieved neither. 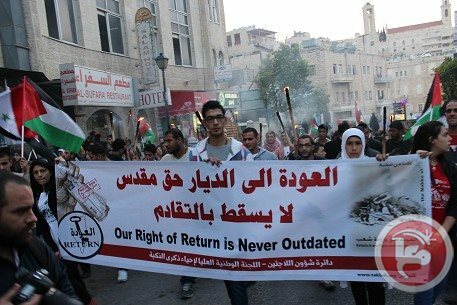 In fact, the right of return should be treated as intrinsic to the right to self-determination and entwined with the aim of establishing an independent state and not as a stand-alone cause. After all, it is the nation that decides its political future. Filippo Grandi alluded to this in his outgoing remarks at Birzeit University as UNRWA commissioner-general: "I fear that failure to consult the refugees, to hear their choices, and to take these choices into account, will consecrate their exclusion, with negative, and predictable consequences." The PLO/PA's willingness to negotiate with Israel has also facilitated the process of normalizing relations between Israel and Arab states without any gains to Palestinians. Previously, officials in reactionary Arab regimes who met with their Israeli counterparts did so secretly for fear of a public backlash against them for crossing the red line of normalizing relations with Israel. Today, that red line has faded, with Israeli officials and businesspeople traveling freely and openly back and forth to many Arab capitals. The futile quest to win a diminutive state, however minimally sovereign, has sidelined the Palestinian nation at large and led to disunity among Palestinians and their inability to form a national umbrella that unites them around a shared vision and an inclusive national project. Palestinians outside their homeland represent at least half of the nation, but they have been relegated to the status of observers with no avenue to participate in decision-making on their future. So long as the Palestinian struggle for self-determination and independence remains one directed towards securing a "statelet," the refugees' right of return will continue to be represented as an ambiguous, marginal, and/or unrealistic demand. Note Israeli Prime Minister Benjamin Netanyahu's statement on March 11, 2014 in an address to the ruling right-wing Likud-Beitenu faction that he will never sign an agreement with the Palestinians that does not cancel out the refugees' right of return and does not include Palestinian recognition of Israel as a Jewish state. Additionally, of course, Israel wants an agreement that enables it to keep much of the West Bank's land and water resources and control access and movement. But what Israel is asking for is impossible to achieve. 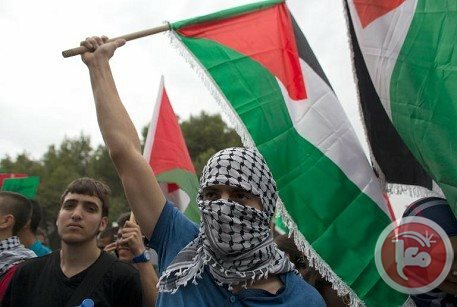 The Palestinians will not self-declare that they have no rights: No people have willingly abandoned their rights and nor will the Palestinians. Furthermore, the world cannot recognize the legitimacy of Israel's occupation of the 1967 territory without violating a core principle of international law that would destabilize the rest of the globe. Even Israel's closest allies have not recognized its annexation of East Jerusalem. Nor can the international community accept the second-class status of its Palestinian citizens of Israel, now conveniently masked by negotiations. In the meantime, Israeli hasbara continues to misrepresent the Palestinian struggle for justice and rights, and labels these as acts of "terror" and obstacles to peace. Take, for example, the recent resurgence of attacks against UNRWA, the UN Refugee and Works Agency. Another article claims that UNRWA is responsible for encouraging terrorism, for creating a culture of "permanent dependency" and for discouraging Palestinians from seeking a peaceful resolution to the conflict -- this, despite the PLO/PA's decades-long engagement in fruitless negotiations. Reading the article, one would think that UNRWA was created before Palestinians became refugees and is the root of all evil in the Middle East. Israel's unwillingness to relinquish its military conquests is providing the time for effective organization against its violations of international law. Several European bodies are divesting from Israeli companies, both those that are located in the OPT as well as within Israel itself. These moves are partly in response to the International Court of Justice Advisory Opinion of 2004 and partly due to popular actions undertaken by the BDS movement and other actors. Not for nothing have US Secretary of State John Kerry and President Barack Obama warned Israel that it is approaching "near-total isolation." As for the Palestinians, it is past time to heed one of their greatest poets, Rashed Hussein, who once wrote: "Revolutions desire moments of anger." This is such a moment: It is time for the peace-process charade to end. Most importantly, it is time for Palestinian activists to push the PLO to reconfigure national priorities, with refugees and the right of return at the center of the cause and not its margins. The pathway of negotiations in the absence of popular resistance and without the re-invigoration of the PLO as a national umbrella that allows for democratic and popular participation for all Palestinians wherever they are can only end in disaster. Originally published on Al-Shabaka's website on May 6, 2014. The Emir Sheikh Tamim bin Hamad Al Thani met Tuesday with Palestinian President Mahmoud Abbas and Hamas politburo chief Khaled Meshaal. The Emir congratulated them on the national reconciliation agreement they reached in Gaza and stressed Qatar’s support for all efforts to end internal division and create an atmosphere of reconciliation in order to achieve the interests and aspirations of the Palestinian people. For their part, Abbas and Meshal thanked Hamad and appreciated Qatar’s stance in supporting the Palestinian people to restore legitimate national rights and establish their independent state. Both sides discussed the latest developments in the Palestinian issue. On April 23, Hamas and Fatah signed a reconciliation deal in Gaza, ending seven years of internal split between Gaza and West Bank. Palestinian Prime Minister in Gaza Ismail Haneya and Minister of the Interior Fathi Hammad visited Tuesday Shahira Zein al-Din, formerly Elisar Mordecai Fahima, congratulating her on performing Umra rituals. Shahira, formerly a Jew, converted to Islam and got married from Zein al-Din family in Gaza. She gave birth to several sons and witnessed last two wars on Gaza by Israeli occupation in 2009 and 2012. 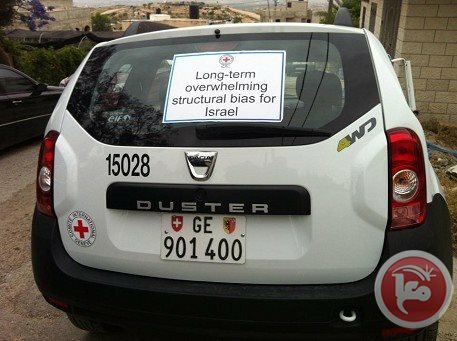 During the inauguration of a water network funded by the International Committee of the Red Cross, protestors stuck a poster on an ICRC vehicle accusing the international body of siding with Israel. 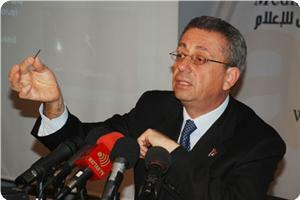 The head of the ICRC mission in the West Bank was attending a ceremony to inaugurate the network in Jayyus village. The network brings water from artisan wells in the village’s outskirts which has been separated from the village by Israel’s separation wall. Palestinian minister of agriculture Walid Assaf, minister of local governance Saed al-Kuni and chairman of PA water authority Shaddad al-Attili were present at the inauguration along with the governor of Qalqiliya Rafi Rawajbah. After the officials left visit the office of the Jayyus municipality, they found similar posters in English accusing the Red Cross of bias toward Israel. 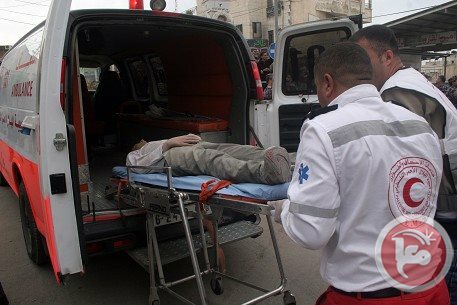 A teenage boy died early Tuesday on his way to a Ramallah hospital, security sources said. Palestinian security sources told Ma'an police were investigating the death of 17-year-old Abd al-Jabir Ismail Abu Safiyya from Beit Sira west of Ramallah. Signs of "torture and electric shock" were found on Abu Safiyya's body, the sources said. The reconciliation initiative was also applauded by the EU's High Representative for Foreign Affairs and Security Policy Catherine Ashton. "European Ministers of Foreign affairs denounced Israel’s attempts to thwart the agreement, which is, according to them, ‘a vital step in the peace journey,’ Barghouthi said in a press release on Tuesday. Barghouti praised the statements as outspoken positive reactions to the reconciliation initiative and harbingers of mass international support. 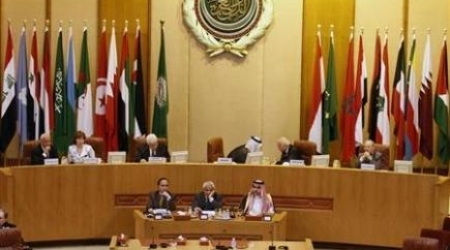 Arab League Council will held a meeting at the level of permanent delegates next Wednesday based on the demand of the United Nations Office for the Coordination of Humanitarian Affairs (OCHA) to discuss the latest developments of the situation in the Occupied Palestinian territories and aids. 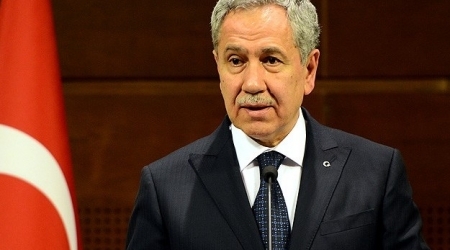 Assistant secretary-general for Palestine and occupied Arab territories Mohammed Sabih said the meeting will discuss a detailed report of "OCHA," on the situation in Palestine and Jerusalem. (OCHA) is part of the United Nations Secretariat and is led by the Under-Secretary General for Humanitarian Affairs and Emergency Relief Coordinator, Valerie Amos. Established in 1998 by the UN Secretary General, OCHA is responsible for bringing together humanitarian actors to ensure a coherent response to emergencies. It plays an important role in supporting the Palestinian people, providing humanitarian aids to them and exposing the Israeli violations against them.